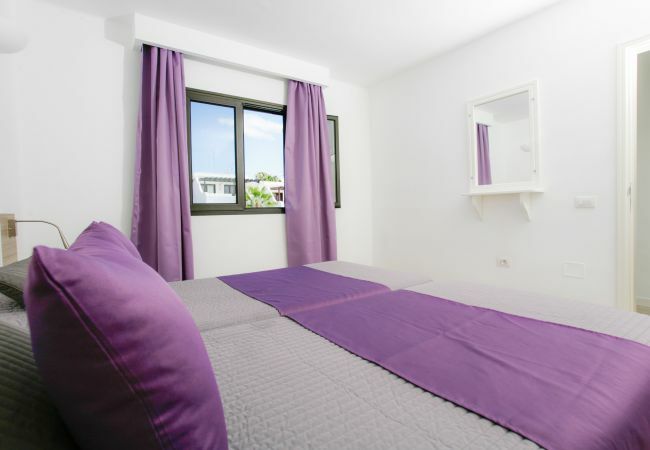 Apartamentos em Puerto del Carmen - Club Oceano 1 bedroom apts. O apartamento em Puerto del Carmen tem 1 quarto(s) e capacidade para 4 pessoa(s) (máx. 3 adultos). Alojamento de 40 m² cómodo e totalmente equipado, com vistas para a piscina. Encontra-se a 50 m do supermercado, 400 m da praia de areia "Puerto del Carmen, Playa Grande", 400 m da cidade "Puerto del Carmen", 900 m da praia de rocha "Playa chica", 2 km do campo de Golf "Lanzarote Golf Resort", 3 km do parque de diversões "Lanzarote Rancho Texas", 7 km do aeroporto "Lanzarote airport, Arrecife", 19 km do parque aquático "Aquapark Lanzarote" e localizado numa zona residencial e num complexo residencial. Dispõe de parcela vedada, acesso internet (wifi), secador de cabelo, piscina comunitária+infantil, piscina climatizada comunitária, estacionamento ao ar livre, tv satélite (Línguas: Inglês). A cozinha é independente, eléctrica, está equipada com frigorífico, forno, congelador, louça/talheres, utensílios/cozinha, fritadeira, torradeira e jarro eléctrico. - 1 Cama casal, 2 Camas individuais. - Frigorífico, Forno, Congelador, Louça/Talheres, Utensílios/Cozinha, Fritadeira, Torradeira e Jarro eléctrico. - TV satélite (Línguas: Inglês), parcela vedada, acesso internet (wifi), secador de cabelo, 40 m² de área, 5000 m² parcela, adaptada para portadores de incapacidade, piscina comunitária+infantil (dimensões 10x6 and 5x5, profundidade máx 1,8 m, profundidade min 0,6 m), piscina climatizada comunitária (dimensões 10x6, profundidade máx 1,8 m, profundidade min 0,9 m), estacionamento ao ar livre. The apartment was spacious for 2 people. The pool area and restaurant/Bar was excellent to relax and eat. Plus the menu was good and reasonably priced. Second visit. Love everything about it. Our first stay here was in 1992 - we’ve been back numerous times. Everything is still great and we’ll definitely return. Can’t fault anything - superb!! What I liked was the fact it was so clean and all the staff so friendly and accommodating. The location was close enough to the seafront but far enough away not to be affected by noise. Very quiet. Short taxi ride to airport. This was our third stay in the apartments and can’t fault them, everything you need for a self catering holiday. Staff are friendly and helpful , the place is kept spotlessly clean . Microwave oven to kitchen utilities would be great addition . Not sure what this means??? Really friendly little place where all staff make you feel really welcome and nothing is any trouble. We have been coming here fir over 20yrs and things have been improving year on year . Ongoing investment in property being made. Thank you as we intend to return every year! Thank you everyone! Nothing really - just keep doing what your doing! Excellent job! There is a special atmosphere around the place that I like. Always a friendly crowd. I have been returning now for many years and hope to do so for many more . Keep coming back and meeting up with so many we have met over the years. Love the staff and whole ambience of the place. Thank you for fitting a hairdryer in apartments. A microwave may be helpful. Possibly longer opening hours for food in the bar. Close to amenities. Friendly complex. Friendly & helpful staff. Apartments spotlessly clean. Free WiFi throughout complex. Kitchen closes too early. Great accommodation, nice and quiet location never a problem with getting on a sun bed. Everyone friendly will def be back. So close to 5 stars! Beds with (very firm!) Memory foam mattresses. Hairdryer, Iron and board. Good location. Lovely complex. Outside tables could do with re varnishing. Pool area was always kept very clean, Heated pool ! Schöne Appartements und sehr nettes Personal. I liked the atmosphere around the complex. The bar staff and reception staff were all great and the price of food and drink was fair/reasonable, which helps to keep people around the complex, instead of venturing to the cheaper bars around the resort and adds to the friendly vibrant atmosphere. Keep doing what your doing, we thoroughly enjoyed our stay at Club Oceano and are hoping to return with friends next February. My wife and I are repeat visitors enouh said! Our 3rd visit and not disappointed! Clean apartments that are ideally situated. Always able to get a sunbed whatever time time of day. Friendly staff and other holiday makers, some who return every year. This was our fourth stay at Club Oceano. We loved the newly refurbished apartments. The staff were as always friendly and helpful. We feel so comfortable and relaxed there we hope to return in autumn. We liked everything about the place. There was a very friendly atmosphere throughout. The staff were very friendly and helpful. The apartments have been refurbished and are beautiful. The restaurant/bar serves good food , good beer and all sport is covered. Great Wi-Fi which is essential to most people. Lovely heated swimming pool. We will be back next year. Close to everything. Clean and comfortable/practical accommodation - not elaborate yet not basic. Good staff on front desk. Quiet and relaxed at night. Very appreciative of the shower room faciliities after we had checked out. The beach towels that we hired were threadbare - invest in some new ones - the hire service is a good one to provide, especially when trying to keep hand luggage under 10 Kg. The staff, all of them, from front desk to bar, to cleaners, to workmen are all just top class. Friendly, helpful and welcoming and happy to chatnot depending on how one prefers at any given moment. Near the restaurants for evenings but still quiet. I have been sooo many times and I just relax back into it immediately - it’s so good I actually don’t want anyone else to know about it!! Everything apart from what I have mentioned. We were allocated room 9 and it was very handy having the sun loungers on the mezzanine level. We were also able to have a few extra hours to our check out time on our departure day. This was very much appreciated and saved us from being rushed in the morning. Thanks for that. Great location, clean, comfortable apartments. 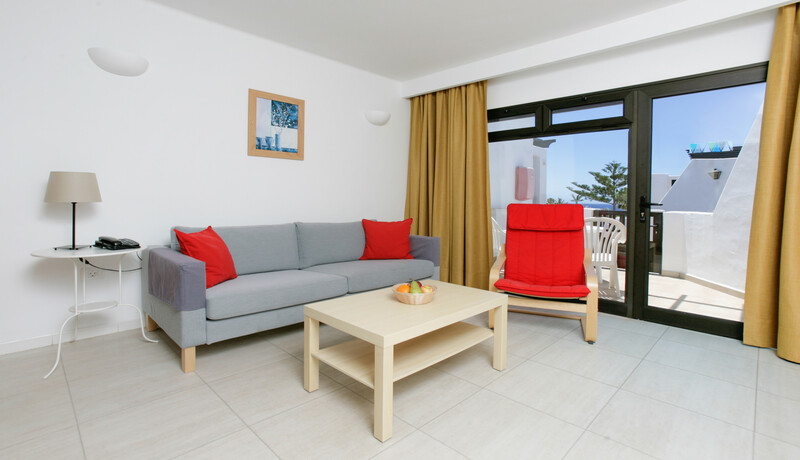 Spacious and well furnished with good self catering facilities. We keep coming back !! Stayed there twice last year and will definitely be going back. Everything. We had a great holiday and the staff are always very pleasant and helpful. The kitchen cupboard doors would be better in a lighter colour. We have stayed before so we know the set up,excellent location,the staff are amazing I don't think no is in their vocabulary. Stayed for 1 week apt 2.. Brill accommodation which is happily recommend. Just returned from a thoroughly enjoyable holiday at Club Oceao which is very central to the prom in PCD. 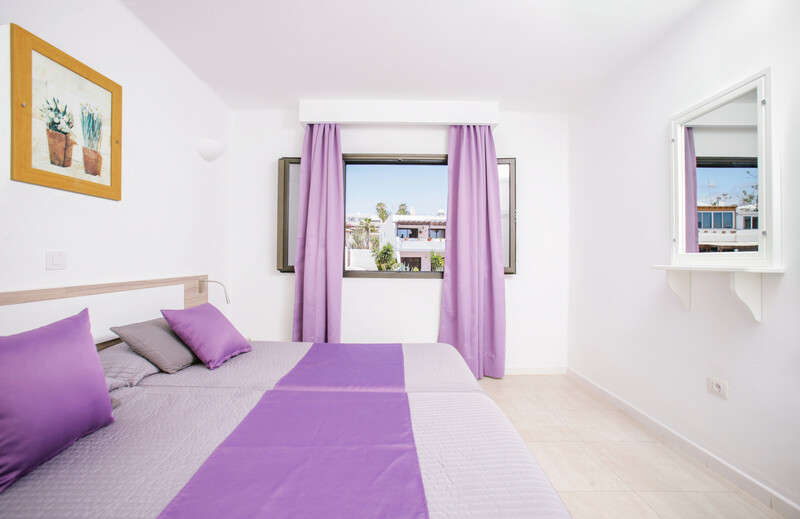 Apartments and surrounding pool area are very well maintained and the rooms have recently been upgraded and are very comfortable indeed. A big thank you to all staff who work hard to ensure you have an an enjoyable stay. Highly recommended and look forward to returning next year. Hi Fiona Thank you so much for your glowing review of Club Oceano. We are very lucky with where our complex is situated. we have worked very hard to get the apartments up to a new more modern standard and are proud of how they have been acknowledged by all guests. Thank you for mentioning the amazing staff at the complex, they work very hard to make all guests stays as enjoyable as possible. We look forward to welcoming you back very soon. Kind Regards Ocean club Holidays. Like the location, rooms clean, bedroom improvements and lounge furniture since our last visit. My son enjoyed the heated pool and pool table. Plenty of sun loungers. Pool bar nice food and drinks. We’ve been to these apartments for every new year for the last 4 years, last year there was 15 of us. 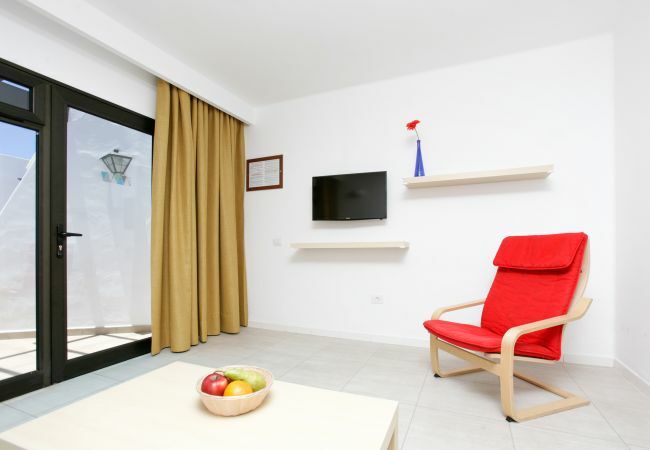 We like everything about these apartments very well equipped, receptionist and bar staff very friendly and helpful. 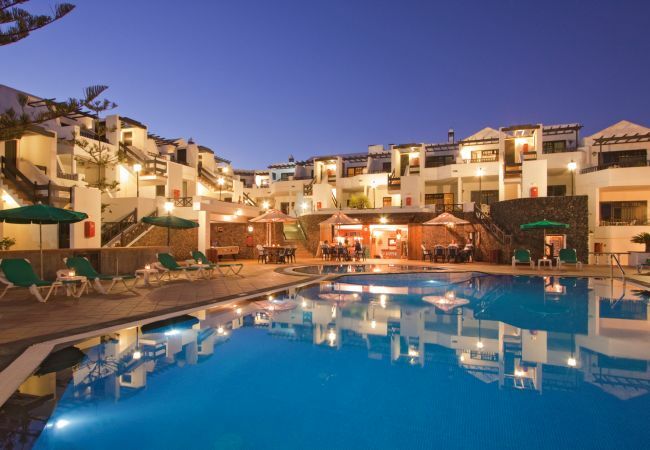 Excellent accommodation with great staff and cleanliness.I have been to the canaries a lot of times for Xmas and new year but this is the first hotel/apartment that claims to have a heated pool that is telling the truth and this pool is actually warm enough to swim in. Everything. Well run apartments, friendly staff and spotlessly clean. We will be back next year. The reception staff were very friendly and very efficient and very helpful. The apartment was very clean with new towels every 2 days. The complex is just fabulous.Our apartment facing the sea with lovely views.We have stayed here before and will be staying again.The pool is beautiful and spotlessly clean.The whole complex is spotless.The staff really nice as are the cleaners nothing is too much trouble.I would highly recommend The Oceano to everybody. The apartments are really lovely, very well set out complex. To offer evening meals as to sit by the poolin the bar with the lovely friendy staff would be a pleasant evening. Everything! Would have liked a sunny room facing south but I'll request that the next time l stay! Congratulations all round on a lovely complex! Sehr nettes Personal. Die Möglichkeit, abends noch an der Bar etwas zu trinken. Schöne Lage. Geräumige Appartements. Lovely apartments in a great area staff really friendly ! Spotlessly clean ! Hairdryer has been added to the bathroom, bedrooms have been refurbished, these apartments are always improving. Apartments clean and well equipped. Always able to get a sunbed at whatever time of day you went to pool. Location very convenient for supermarket, bars and restaurants. Would definitely recommend. We are very pleased with the upgrades taking place in each apartment, it is pleasing on the eye when you walk into the apartments. I would suggest installing a small lift for the next level apartments. This will help the elderly and other people with disabilities. 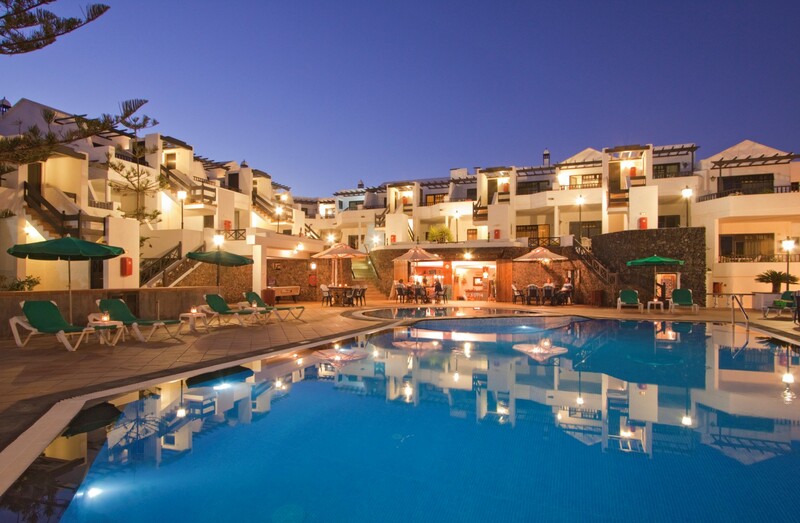 The pool & bar area, food from the restaurant, comfy sun loungers, great rooms with everything we needed for a self catering holiday and a great team of people who work at the complex. Staff are extremely friendly Pool bar is excellent - big selection of food & drinks Apartments cleaned every second day. Pool area clean and tidy Apartments clean and good size. Sunbeds with umbrellas being reserved with towels and not used all day. Umbrellas around the pool should be removable to use at other beds. Value for money, friendly staff and excellent location. Newly refurbished bathrooms are beautiful. Very clean and tidy. Accommodation looked very fresh and everything you wanted in the apartment was available. All public areas were very clean and tidy. Plenty of beds around the pool. Most certainly would contemplate going back as was also in a good spot for the sea front and all amenities. Stop people hogging the sun beds putting towels on and not using them also take back the jacuzzi from the kids they seem to have taken it over. Under 14s not allowed use it should be enforced. Love the place. Stayed here 5 times. Fantastic apartments, well situated to the main strip. Brilliant staff, lovely pool. Great place to stay for families. Lovely food available. Can’t fault. Perhaps evening entertainment in the bar - perhaps quiz night/ Bingo (not every night) but to attract people to drink in your bar of an evening. Would highly recommend these Apartments. From the moment we arrived the staff welcomed us and provided an excellent service- nothing was ever too much trouble. Fabulous cooked breakfast and Sunday Lunch. Apartments very clean and well looked after. All have views of the pool. Sun beds available at anytime of the day no trouble aquiring a sunbathing place. Excellent location- 5 mins walk to the strip. Would highly recommend for families. Bar rather quiet of an evening. Perhaps light entertainment would attract more customers of an evening. Just returned from another brilliant stay at Club Oceano. An excellent place. People are really friendly and our son had brilliant time. 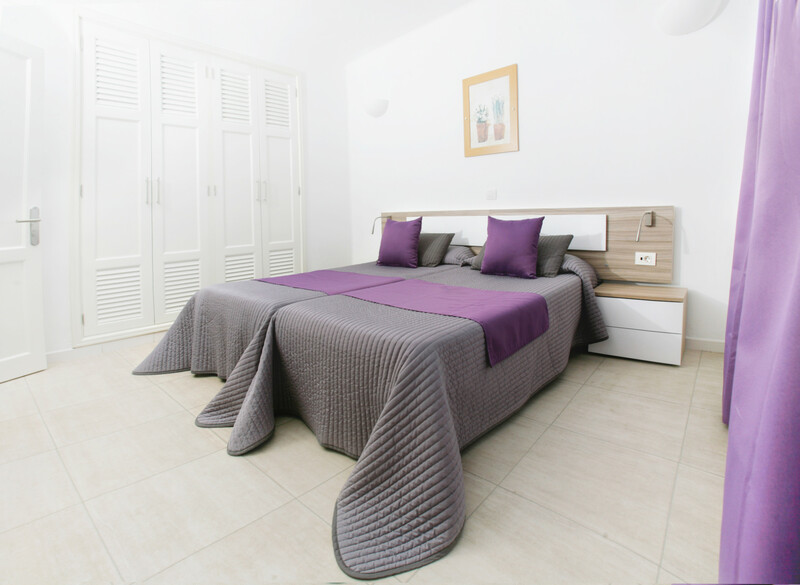 Apartments have always been of a really good standard and are always improving, the last developments were the beds which are very comfy, Honestly had a brilliant time and will keep returning for many years to come. 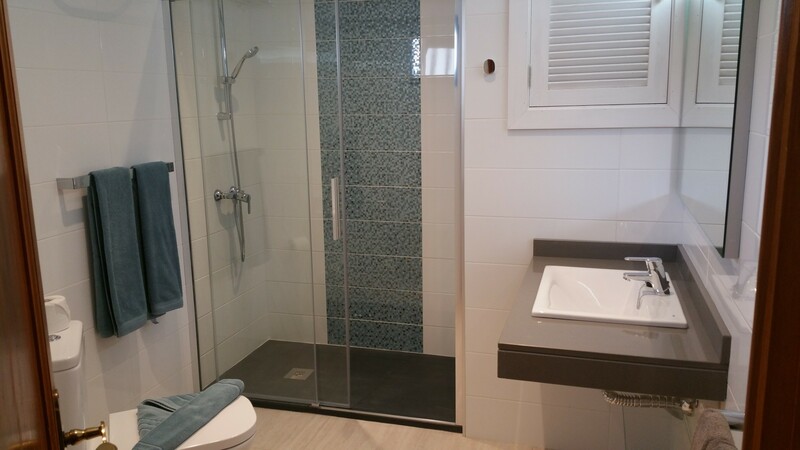 The brightness of the apartment, the lovely walk in shower. The balcony looking over the pool. Encourage those who are not eating not to sit all day at the tables for food. Had to sit inside to eat as a family sat all day drinking sitting by the tables. This happened a few days in a row. Excellent accommodation could not fault it. Thank you for your feedback on Club Oceano. I'm glad you enjoyed your stay. We hope to welcome you back to Ocean Club Holidays. Fabulous apartments, staff can't do enough for you. The food at the pool bar was very good. Been belfore and will visit again. Thank you for your feedback on Club Oceano. I'm glad you liked the apartments and the staff. We hope to welcome you back to Ocean Club Holidays. Thank you for your positive feedback on Club Oceano. I'm glad you enjoyed your stay found the complex clean and staff friendly. We hope to welcome you back to Ocean Club Holidays. Thank you for your review on Club Oceano. We hope to welcome you back to Ocean Club Holidays soon. Thank you for your review on Club Oceano. I'm glad you found the staff friendly and liked the bar, pool area. You can hire a microwave from reception with a refundable deposit. 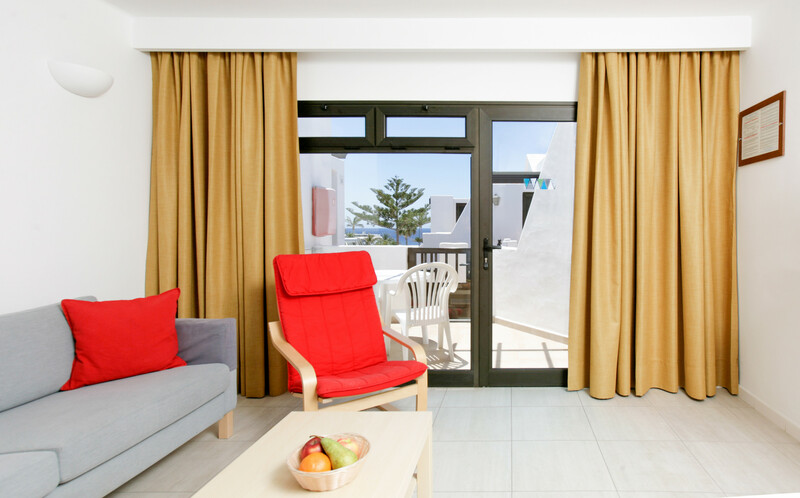 We look forward to welcoming you back to Ocean Club Holidays for your next holiday. Great holiday in superb accommodation! 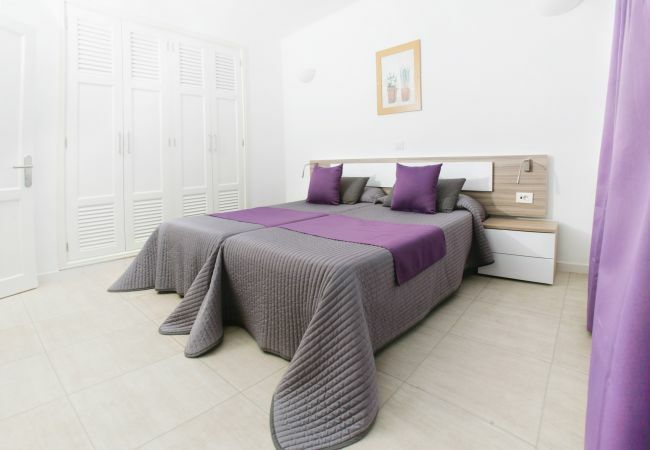 Good reception, clean and bright apartment, great pool and sea views, good drinks and food service, flexible checkout, spotless shower room for use on departure day, friendly staff, great location in resort. Pool opened as soon as possible after refurb., which was a bonus. Very little. High percentage of returning visitors ( including us) speaks volumes. Please don't change much. Have stayed in Club Oceano 56 times. Nice friendly staff, very accommodating and located close to the main strip. Thank you for your comments on Club Oceano. I'm glad you enjoyed your stay with us and found the staff friendly. We hope to continue to welcome you back to Ocean Club Holidays. Availability of sun beds. No running down to put out your towels. Not too busy, nice breakfast and pool area good for little ones. Staff very friendly. The gate should be shut even in the daytime. Stops strangers coming in. Thank you for your feedback on Club Oceano. I'm glad you enjoyed your holiday and found the stay very friendly. The complex is safe and secure. In the day time the gate is left open, guest that are not staying with us are welcome to use the bar, but are not allowed to use the pool. In the evening the gate is locked, only staff and guests staying have the key. We hope to welcome you back to Ocean Club Holidays. Thank you for your feedback on Club Oceano, I'm glad you enjoyed your stay. We hope to welcome you back to Ocean Club Holidays. Thank you for your feedback on Club Oceano. We hope to welcome you back to Ocean Club Holidays. Thank your for your feedback on Club Ocenao. We hope to welcome you back to Ocean Club Holidays. 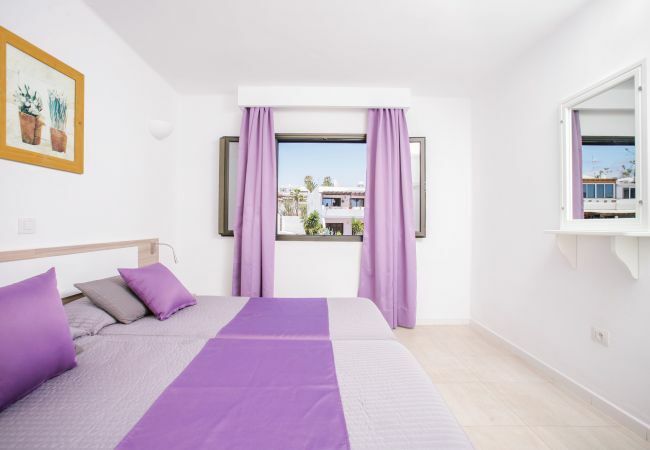 WE loved the location, just a 5 minute walk to the strip, we liked the apartment, clean and modern with free British TV, we also liked the on site bar which also sold good quality food at very reasonable prices. Checkout time was great too (13:00). Only minor points- The pool requires some attention but this is planned to be done this June, a microwave oven would have come in handy although there was a normal oven. Thank you for your feedback on Club Oceano. I'm glad you liked the location and the apartments. The pool works are being done in June 2018. We hope to welcome you back to Ocean Club Holidays. Nettes Personal. Es wurde sehr gründlich gereinigt. Die Lage ist sehr gut. Wir hatten einen tollen Ausblich von der Terrasse auf den Pool. Eine Gebühr für TV und W-Lan ist nicht mehr zeitgemäß. Das gibt es in den meisten Anlagen ohne Gebühr. Bitte ändern! Thank you for your review on Club Oceano. I'm glad you liked the location. The TV you pay a refundable deposit for the remote. Which is given back on checking out. We hope to welcome you back to Ocean Club Holidays. Thank you for your review on Club Oceano. We hope to welcome you back to Ocean Club Holidays. Everything.... it was VERY clean all the staff and receptionist was very friendly and helpful.the cleaners work hard to keep the place very clean.overall I will be recommending it. Not much really apart from a small microwave would of been good just so we could reheat thing's up as I had to use the oven.wasn't a problem but it just took a lot longer. Thank you for your feedback on Club Oceano. I'm glad you enjoyed your stay with us. 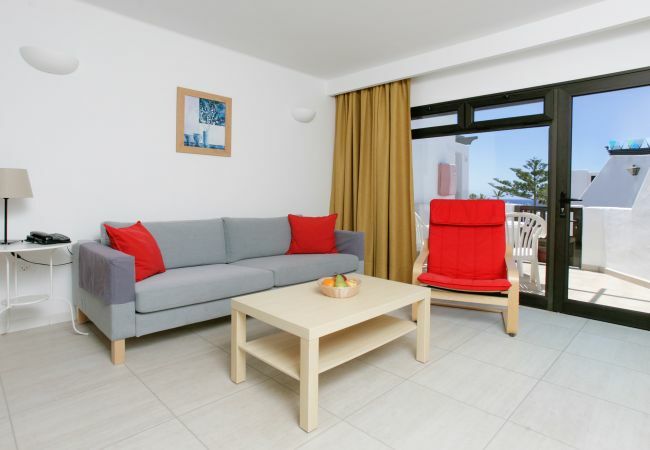 You can hire a microwave from reception We hope to welcome you back to Ocean Club Holidays. As always our stay was super staff very friendly and helpful rooms comfortable and clean location spot on. Food good shame kitchen closed at 6. We will be returning soon hopefully. Kind regards. Besides kitchen opening a little longer nothing. Thank you for your lovely review on Club Oceano. I'm glad you enjoyed your stay. We hope to welcome you back to Ocean Club Holidays. Clean and very comfortable apartment. Nice friendly staff. Good location for old and new town. Very enjoyable stay. Will return again. Thank you for your review on Club Oceano, I'm glad you found the staff friendly and apartments clean. We hope to welcome you back to Ocean Club Holidays. Very clean, excellent facilities,bar staff brill. Thank you for your feedback. I'm glad you liked the complex. We hope to welcome you back to Ocean Club Holidays. Staff very friendly and helpful. Location only 10 minute walk from beach so very good. Pool area was spacious and clean. Food served at bar was good. Would appreciate better mattresses in bedroom. Thank you for your feedback. I'm glad you found the staff friendly and pool area clean. We hope to welcome you back to Ocean Club Holidays. We like the improvements being made - brings a new lease of life. 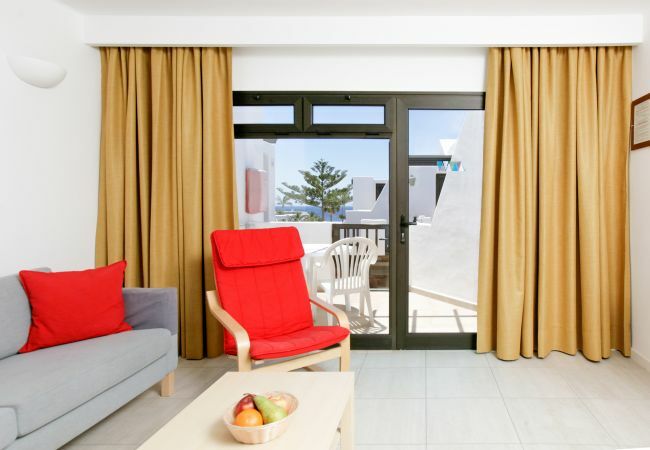 We like that there are plenty of sun loungers, the staff are always friendly and helpful and the apartments are well equipped and clean. Additional pillows available in rooms would be useful. We like everything about oceano always have. Especially the staff. They looked after me when my father passed away when I was on holiday. Trying to organize flights home for me. Thank you for your positive feedback, Im glad you found the staff helpful. We hope to welcome you back to Ocean Club Holidays soon. The escape from the Beast from the East. Relaxed atmosphere, great location with friendly staff. Nothing really, just keep doing what you're doing... that's why people keep returning. Thank you for your comments. We now have new and improved sunbeds around the pool. This is the 3rd time that I have stayed at the Club Oceano and have enjoyed every stay very much. All aspects except check in. Thank you for your positive feedback. I'm glad you liked the location. We hope to welcome you back to Ocean Club Holidays. The staff.were the.best that.we have ever.encountered. This was our second time to stay in the Club Oceano and we love everything about it. Thank you for your positive feedback, I'm glad you enjoyed your holiday! We hope to welcome you back to Ocean Club Holidays soon. A microwave would be great, along with a hairdryer. Access to a washing machine would be even better. These apartments were lovely, clean, spacious, great central location for all bars shops & restaurants. Staff were very helpful and friendly. We look forward to returning! Apartment clean and in good decorative order, modern furnishings, good cooking facilities, modern bathroom with walk in shower. Staff very friendly, especially Marie in bar. Reception staff welcoming and very helpful. Great location for old and new town. Short walk from beach and shops /restaurants /bars. Would stay here again. Thank you for your feedback on Club Oceano. I'm glad you found the apartments clean and found the staff friendly. We hope to welcome you back to Ocean Club Holidays soon. The staff were friendly, lots of returning customers who get together and chat around the pool, felt homely and good atmosphere for a small complex. Cleaners are very good with lovely clean bedding. Not too far from the main strip. Gated enclosure once the bar shuts at 11.30pm so it felt safe. Reception ladies were very helpful. Wifi is an expensive addition €27 for 2 devices for a week and only works in the lounge area so is limited, however it is free at bar area. Thank you for your positive feedback, I'm glad you enjoyed your stay at Club Oceano. With the WIFI when you purchase something at the bar you can use the WIFI in the bar. We hope to welcome you back to Ocean Club Holidays. Excellent service and a minor problem promptly sorted. Thank you for your feedback. I'm glad you found the staff polite and helpful. Also liked the accommodation. We hope to welcome you back to Ocean Club Holidays. We had an apartment well positioned for sun. Everything worked. Staff very friendly. Missed having an Ocean view but know it was there if you were on the top floor. Loved the heated pool, especially in January when some days were windy. Would be nice to get sheets changed mid week as well as towels. Thank you for your feedback. I'm glad you enjoyed your stay with us. The towels are changed every two to three days. The linen is changed weekly. Very convenient location. Clean complex. Heated pool. Comfy Sun loungers. Friendly staff at bar area and reception. Handy left luggage room with towels and shower available for late day departures. Thank you for your feedback. I'm glad you found the complex clean, and found the staff friendly. We hope to welcome you back to Ocean Club Holidays soon. We really enjoyed our stay, and would deffinetly come back. Maybe some organised entertainment would encourage more people to spend money in the bar. We liked the apartment and the kitchen equipment were adequate for use pool area spotless and pool lovely sunbeds were plenty would stay again. I wasn’t keen on the sunloungers outside my room on the middle floor. The appartments could do with a lick of paint. Whilst not a reason to stop me booking would make a huge difference. A hairdryer would really benefit from being installed in the appartments. mooie accomodatie in een mooie plaats (Puerto del Carmen) geweldige service en heel vriendelijke medewerkers van Ocean Club. alles keurig schoon en voldoet zeker aan wat er beloofd wordt. Heel veel dank voor de fijne vakantie die wij bij jullie hebben doorgebracht. Een koffieapparaat hebben we toch wel gemist. Wij, Nederlanders, drinken veel koffie. Thank you for your positive feedback. I'm glad you liked the apartments and found the service from the staff at Ocean Club Friendly. We hope to welcome you back to Ocean Club Holidays soon. Location perfect .Bathroom perfect as I am recovering from broken hip. Thank you for your positive feedback. I'm glad you liked the location. We hope to welcome you back to Ocean Club Holidays soon. New sunbeds and new furniture in apartment. Friendly helpful staff. Grab rail in shower. Hooks on bedroom and bathroom doors. Serve meals beyond 6pm.Oil gate! Parasol en ligbed op het balkon zou wel erg fijn zijn! Thank you for your positive feedback. I'm glad you liked the apartments. Also found booking through our website easy and communication via the internet after booking. We hope to welcome you back to Ocean Club Holidays Soon. These apartments are centrally located. The staff are friendly and do all they can to make your stay good. The maids are very noisy early in the morning. Thank you for your positive feedback. I'm glad you liked the apartments and enjoyed your stay. We hope to welcome you back to Ocean Club Holidays soon. 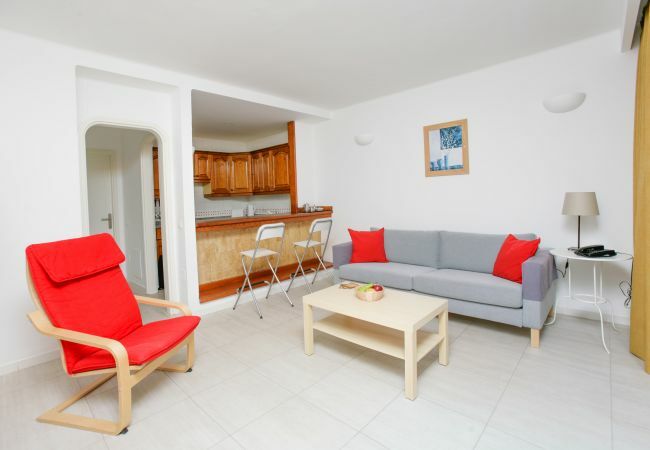 Brill apartment Clean Value for money Good location.. That good we booked to go back whilst there.. Thank you for your positive feedback. I'm glad you liked the apartments and glad you have booked to come back with us again. Our 9thmaybe 10th stay. Excellent as always. The staff are very helpful. The bar area is great if you choose to use it. The food is lovely (particularly love the breakfast and the salads) and good value. Lots of new additions this time (sunbeds, furniture etc). Very pleased and we have already booked 2 of next years 3 visits. Thank you for your positive feedback. I'm glad you enjoyed your stay with us. I'm glad you liked the new sunbeds and the furniture. We hope to welcome you back to Ocean Club Holidays soon. The staff were very friendly & efficient. Location very central to beach, restaurants etc. Check out time is a little early if you have late flight. We loved our apartment, in a great location. More toilet rolls in the bathroom. Possible hairdryer and missed not having a microwave. Thank you for your lovely feedback. I'm glad you liked the new bathrooms and found the staff friendly and helpful. We hope to welcome you back to Ocean Club Holidays Soon. Found the staff very accommodating. Very clean complex. An grear value for money. Everyone is always friendly and helpful, the resort is in a good location and the apartments are comfortable. Having stayed in Ocean Club resorts several times, it´s nice when staff remember you and welcome you back. Also, I am particularly impressed with the fact that they had listened to previous feedback and have made improvements accordingly, such as now providing a good wifi service. Friendly staff that are very helpful. Great location and value for money. The new couches are very comfy in the apartments. Thoroughly enjoyed ourselves and will be back again soon. Thank you for your positive feedback. I'm glad you liked the new couches in the living room. We hope to welcome you back to Ocean Club Holidays soon. Bar service excellent. Wi-Fi much improved. Would be nice if food available untill say 8.00 pm instead of 6.00. Strange noises on roof above Apt 8-possibly animals/birds/wind affecting large parabolic aerial on roof above bedroom. This is our second visit to Club Oceania once again had a great time .We love the new bathrooms which is great as you are getting older and the lovely new furniture is comfortable too .We will certainly be coming again soon Thanks to all the staff . Thank your for your lovely feedback, I'm glad you liked the new furniture and the bathrooms. We hope to welcome you back to Ocean Club Holidays soon. Take off the charge for the safe,include it in the cost of the apartments so there are no further charges when we arrive. Thank you for your positive feedback. I'm glad you liked the new sofas in the apartments, the new sunbeds and the new table and chairs in/outside the bar. We hope to welcome you back to Ocean Club Holidays soon. The staff in reception where very good only and one issue in the 10 days I stayed and it was sorted strait away . The staff in the bar where very helpful and friendly and the food was good.. The rooms where cleaned to high standard as was the area around the pool. A very good apartments complex. .
Friendliness and helpfulness of staff. The modernised living are in apartment. New bar staff need training to make cocktails and liqueur coffees. It was a nice quiet complex with a lovely large balcony overlooking the pool. We were very near to all that we wished to explore. Air conditioningceiling fan, due to the fact the bedroom was uncomfortably hot at night. Thank you for your feedback, I'm glad you had a lovely stay. You can hire a fan from reception. We hope to welcome you back to Ocean Club Holidays soon. Thank you for your positive feedback. I'm glad you had lovely holiday. We hope to welcome you back to Ocean Club Holidays soon. Thank you for your feedback. I'm glad you found the staff helpful and friendly. You can hire a fan from receptionan air con unit which is payable at reception. We hope to welcome you back to Ocean Club Holidays soon. The location, the apartment, very clean, good size pool, family environment..
Bar staff were always having fag breaks in front of customers & were told we are knackered & having a break so bars shut for 10 mins!! Why do they have to go together??? Pool, room, New sun lounger. Decent food. The kitchen to stay open until 8pm like in previous years. Easier for kids then to eat at a decent time. Reception staff very good. Very helpful in all aspects. 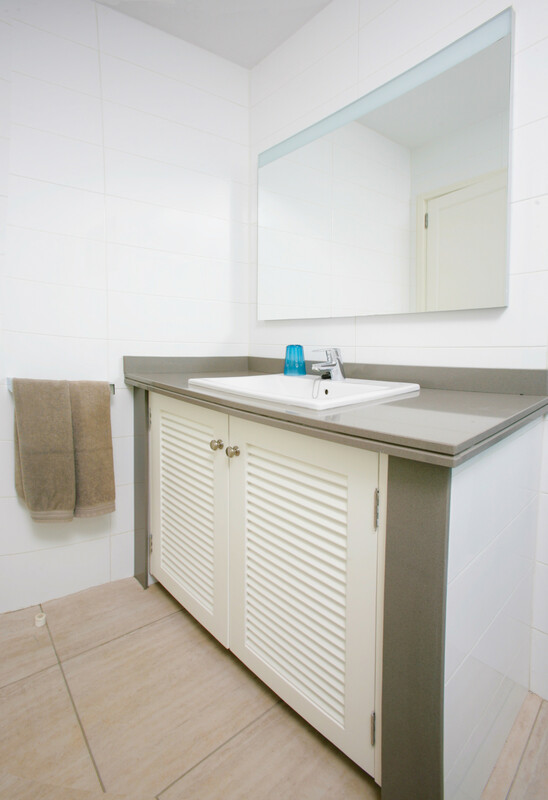 Apartments are clean, comfortable and functional. Pool deck never crowded, could always get sun bed, great quality sunbeds and new chairs at the bar. Didn´t try the bar food so cant comment. Definitely woild consider staying again but WIFI and Tv should be inclusive of rate. Thank you for your comments. TVs are now free and we have free WIFI in the bar. Myself and family ( 2 adulds and 2 children ) stayed her for 3 weeks in July/August. The rooms were great with 2 extra beds put up for the children which was far better than a sofa bed. Rooms clean and had everything we needed. Bar staff great and the food was lovely, we will be returning. Many Thanks. I like the new furniture and hob also the new sun loungers. We love staying at these apartments and will do again soon. Thank you for your positive feedback. I'm glad you enjoyed your holiday, liked the new sun loungers and the new furniture! We hope to welcome you back to Ocean Club Holidays soon. All of it,spotless ,happy to help,which they did.Will recommend. 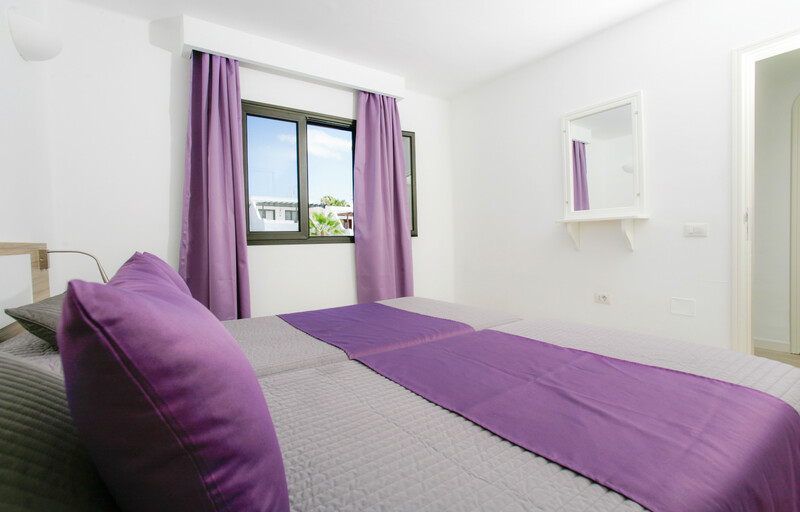 Ceiling fans in bedrooms,as standard,or air con,Bitacora has air con, Bermuda apartments have ceiling fans as has Club Las Calas. Location was 3mins walk from main strip. Pool and surrounding area cleaned daily. Sufficient sun loungers that were comfortable. Bar food was very tasty with good prices. Staff helpful. Room cleaned every 2nd/3rd day. Apt 39 was perfect for us. Great staff who we could speak to with no issues. Had an issue with drainage in our shower but was fixed immediately once highlighted to reception. Pity no free wifi. The one on reception never worked for us. Thank you for your positive feedback. I'm glad you liked the accommodation and facilities. We hope to welcome you back to Ocean Club Holidays Soon. Clean Apartments, lovely bar , food. 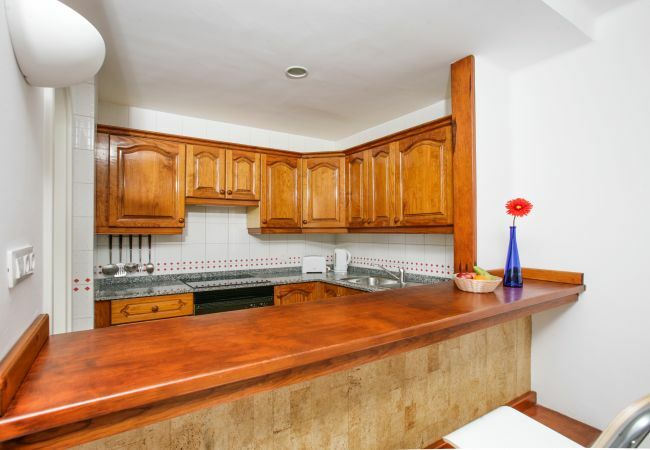 Close to beach , shops, supermarkets. Nice sunlougers , pool all very welcoming . Maybe a dishcloth for washin dishes & possibly a microwave. Thank you for your positive feedback. We hope to welcome you back to Ocean Club Holidays soon. We like everything about Club Oceano. 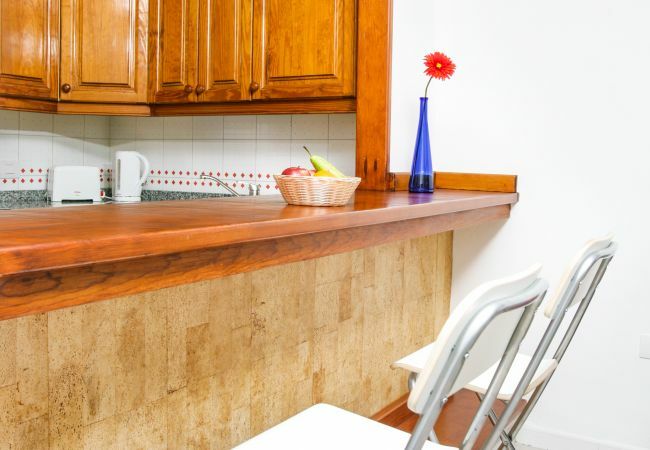 The accommodation is of a high standard and the location is ideal. Thank you for your positive feedback. I'm glad you enjoyed staying with us at Club Oceano. We hope to welcome you back to Ocean Club Holidays soon. All staff are fantastic, friendly and efficient. The complex and apartments are spotless. Can´t wait to return. Thanks once again for a great relaxing holiday. Thank you for your positive feedback. I'm glad you had a brilliant holiday. We hope to welcome you back to Ocean Club Holidays soon. Thank you for your positive feedback. I'm glad you liked the new sunbeds! We hope to welcome you back to Ocean Club Holidays soon. Club Oceano recent visit, excellent. Accommodation was very good and value for money. It is obvious that Club Oceano is investing in the property to enhance the end user experience. I would thoroughly recommend this venue. More sun umbrellas. I prefer protection from the sun and found it difficult to get a sun bed with a parasol. 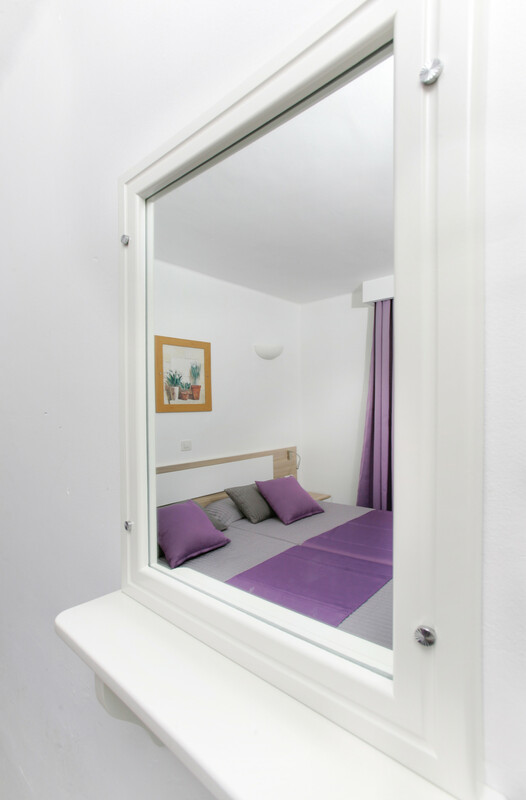 Air conditioningfans in the rooms would be appreciated also during extremely hot weather, especially for young children and elderly visitors. Thank you for your positive feedback. You can hire a fan from reception, also you can hire an air conditioning unit. We hope to welcome you back to Ocean Club Holidays soon. Club Oceano is kept spotlessly clean and is in a great location. The pool is large and heated and the room we had was very spacious and newly refurbished. The staff really make the place, so friendly and efficient. Food and drunks are excellent and very reasonably priced. I will definitely return (this was my 3rd stay here). Thank you for your positive feedback. I'm glad you enjoyed your holiday and would like to come back to Ocean Club Holidays. Might do with a microwave ! Thank you for your positive feedback. I'm glad you enjoyed the food and found the staff friendly. You can hire a microwave from reception. We hope to welcome you back to Ocean Club Holidays,. the apartments were spacious and well furnished. The staff from the cleaners to the bar and reception were all excellent. facilities were very good. For me personally with a child somewhere to leave a buggy if put in an apartment right at the top. People who make a lot of noise an shouting during day and night to be dealt with but this was minimal just 1 family who were unfortunately next door to us. This is the 4th time we have stayed, every time we go improvements have been made to the apartments. ..hair dryers in bathrooms..happy hour to generate income at barincrease food sales...felt it had a lot more potential and adequate staff..maybe menu boards outside etc..
We have been 6 times and are due to come back. It´s great to see that improvements are made in each of our visits. New living room furniture brightened our latest visit. 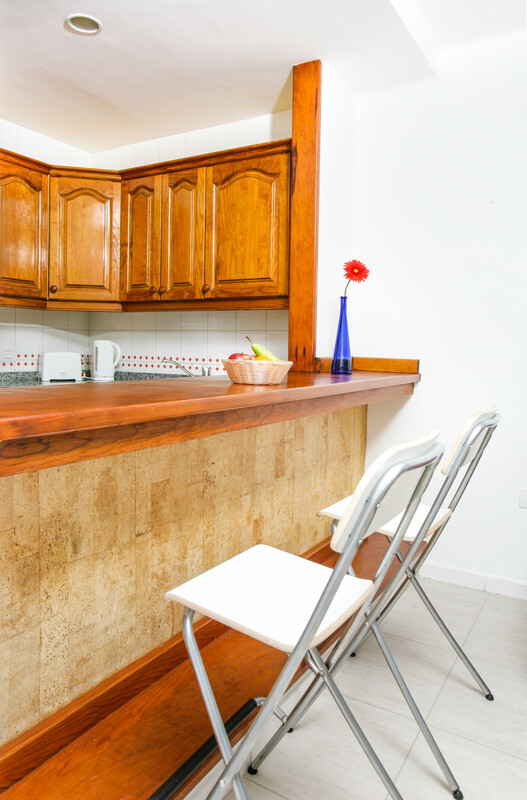 Warm and friendly staff with clean accommodation just minutes from the beach and bars. Great pool and bar, we will continue to come back! Some fans in the rooms would be useful when it´s too hot. Thank you for your positive feedback. I'm glad you like the new improvements at Club Oceano. You can hire a fan from reception if needed when it is hot. We hope to welcome you back to Ocean Club Holidays soon. Both me and my wife loved our recent stay here and honestly hadn´t a bad word to say about the accomidationthe staff , for a small complex it is exceptional I would highly recommend to anyone ! The cleaning at this complex is absolutely faultless. These are the cleanest apartments we have stayed in which is why we have just returned for our second consecutive year. The staff are great, and the atmosphere at the complex with other guests is extremely friendly. A lovely place to stay. Lovely sunny balcony. Nice and quiet round the pool. Good food served. Thank you for your positive feedback. I'm glad you enjoyed your holiday! We hope to welcome you back to Ocean Club Holidays soon. April 2017 - our 8th9th visit! We like everything - that´s why we keep coming back. Clean apartment, friendly staff, great food, great location, good library etc. etc. We´ll be back again next year, perhaps for a month this time - just wondering how much notice we´d need to give to get Apt. 2? Nothing! Except this year the salt level in the pool seemed too high and my husband slipped on getting out - put his shoulder out, but it popped back in again (it´s still tender). I did notice that there were salt stains on the tiles around the pool sometimes. This isn´t a complaint - just to be aware and perhaps put up a sign to say put on your flip flopswhatever when getting out of the pool and walking back to your sunbed. Thank you for your positive feedback. I'm glad you enjoyed your holiday. On booking you can make requests for an apartment, we do our best to try to full fill all requests but cannot guarantee this. With longer stays it is best to book early. We look forward to welcoming you back to Ocean Club Holidays soon. So central, near everything so comfortable, spotless, friendly staff. Our apt no 24 was ideal with lovely terrace sun all day. Lovely pool with modern toilets and showers just off. Beds comfortable and modern sofa comfy also. Very accommodating when we had late flight. We will be bk for sure. Had great holiday. Add cost of tv into your weekly rate. We didn´t need tv but some people do n complain about extra charge. But didn´t bother us to be honest. Nice to get away to relax n be outdoors. High standard - as always! I´ve stayed at Club Oceano on many occasions since 2003 - the usual high standard of the staff and apartments brings me back time after time! Thanks. TV rental in with the price of Apts not a extra! Thank you for your positive feedback. We hope to welcome you back to Ocean Club Holidays soon. You can make requests on booking to be on middle floor, ground floortop floor. We do our best to try to full fill all requests but cannot guarantee this. I cannot fault the people working at Ocean Club they were excellent. Whatever we requested was no trouble at all. Would definitely go back and would recommend to my friends and family. The location is brilliant and very close to all the fabulous bars and restaurants. The beach is nearby and clean and lovely. Perhaps one criticism is that it would be nice to have a more comfortable bed since the springs were digging into my back. Also, WiFi and TV could be free. Lovely spacious apartment . 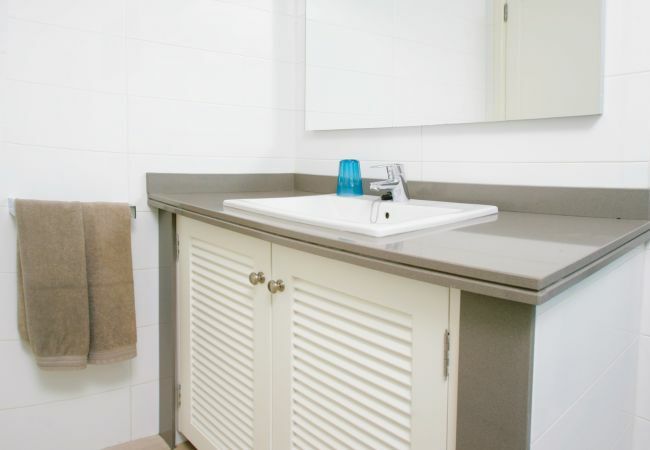 Great bathroom and kitchen facilities. The beds were not very comfy. The sunloungers around the pool need updating. Thank you for your comments. The beds and mattresses have all been replace in June 2018 and we also have new and improved sunbeds. Great location, rooms and pool area very clean. Food and drinks reasonable price and good quality. The apartments were lovely especially with the upgraded bathroom and furniture. The pool bar was spot on with delicious food and reasonably priced drinks. The pool is great and we didn´t have to fight for a sunbed! All in all a lovely holiday and we´ll be back next year! Thank you for your lovely feedback, I'm glad you liked the upgraded bathrooms and the furniture. We hope to welcome you back to Ocean Club Holidays soon. Location is great just off the hustle and bustle of the nightlife. Spar 2 minutes away Shopping Centre 10mins walk. Apartments were spacious and very clean. Whilst we were there new furniture was put into the living room area which was nice!!! Staff really friendly and happy!! Thank you for your positive feedback. I'm glad you liked the new furniture in the living room and found the staff friendly and happy. We hope to welcome you back to Ocean Club Holidays soon. We had a great holiday at the Club Oceano and also at the Villa Venus. Staff were very pleasant and nothing was a problem which made our holiday . Pleasant staff in all areas. The maid who worked in the villa was excellent and very friendly. Her name was Isobella, and the pool maintenance staff were excellent. If booking again we would try Club Costa Luz as this is more central. We have stayed there before. The apartment (number 19) we had at Club Oceano was situated under the balcony of the apartment above although paying the same as other holiday makers it was like living in a cave, no sun at all would recommend using it as a store and not an apartment. Villa Venus was a different story altogether the only downside of the villa was the mattresses were brick hard and lead to an uncomfortable night´s sleep. Love location, facilities, excellent staff. Thank you for the feedback, I'm glad you liked the accommodation, facilitates and the staff. With the bed linen this is changed weekly and the towels are changed every 2-3 days. If you would like the bed linen changed mid week, we can do this for clients but you need to let us know and there would be a small fee for this. We hope to welcome you back to Ocean Club Holidays. Do not charge for Safe deposittelevision., this should be included even if this means a £2.00 extra charge on all bookings. Beds/Pillows - Small and not the most comfortable. Reminder to guest to be quiet at night. On a few nights it sounded like the guests next door were moving furniture and pacing up and down late in the night. Hairdryer in the rooms. Thank you for your feedback. We hope to welcome you back to Ocean Club Holidays soon. very clean and Ann ideal position. could have done with a hairdryer and television included in the price. Food excellent,staff very friendly,very accomadating,would never stay anywhere else. Thank you for your positive feedback. I'm glad you had a lovely holiday. We hope to welcome you back to Ocean Club Holidays soon. Friendly and helpful staff regular and frequent cleaning and linen/towels changes relaxing friendly atmosphere throughout our stay. Internet access should be free lighting above settees should be better to enable reading in the evenings settees quite uncomfortable. Altogether a very pleasing and picturesque complex. Pool very clean and warm. Showers very good (but very cold). Rooms quite well appointed and clean. Bathroom fairly recently refurbished, with walk-in shower. Loungers: some frames broken canvas covers of all sagging, but also causing the backs to fold forward upon sitting. Apartment furniture now ageing somewhat. Very friendly staff and guests. Good quality food and drinks at reasonable prices. Cleanliness of room and public areas including toilets. Heated pool. 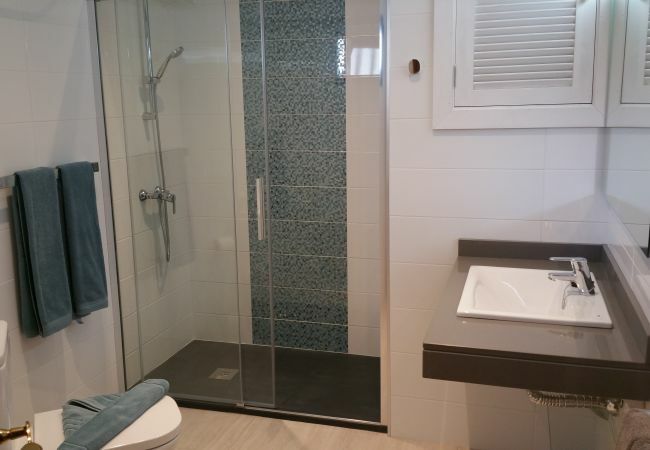 Beautifully refurbished bathrooms. Comfortable bedrooms. 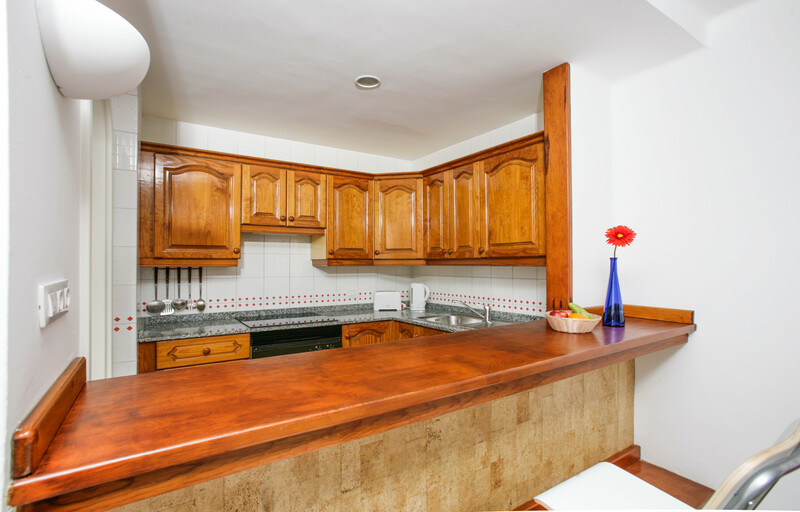 Well equipped kitchens with full oven. Great central location. Superb value for money. Rather than have television and Wi-Fi as add ons why not add slight increase to room rate and provide them free of charge. A very enjoyable holiday !!! There was nothing to dislike . Unfortunately our apartment was in a corner so no sunshine on the veranda. Hopefully a different apartment next time. Thank you for your positive feedback. I'm glad you enjoyed your holiday. You can request an apartment on booking, we do our best to try to full fill all requests but cannot guarantee this. We hope to welcome you back to Ocean Club Holidays soon. Very friendly, made very welcome, lovely apartments, just a lovely place to stay. Have been before and would come again. Thank you for your lovely feedback. I'm glad you enjoyed your holiday as a repeat customer. The Wi-Fi has been upgraded. We hope to welcome you back to Ocean Club Holidays soon. Thank you for your lovely feedback. I'm glad you enjoyed your holiday with us, found the staff helpful and liked the location. With the check out time is 10 am, if you have a later flight you can pay the extra night to keep the apartment on check out. Hope to welcome you back to Ocean Club Holidays soon. Lovely holiday complex in great location. Very clean and tidy. Location excellent. Staff very friendly and helpful. Heated pool and lovely jacuzzi. Not having to pay extra for TVs and WIFI. Thank you for your feedback. I'm glad you had a lovely holiday. Hope to welcome you back soon. Best Wishes Ocean Club Holidays. Everything was perfect even the weather. This is our first time staying out of season as our children don´t want to be seen holidaying with there parents anymore. we´ve been before about 4 times and everytime it´s been great. Keep up the good work. All staff very polite. Cleaners work very hard. Apartments could do with being freshened up. Bathroom was very modern however the mattresses were very worn and really should be replaced. Free television would have been great. Thank you for your feedback. I'm glad you enjoyed your holiday. Also I'm glad you enjoyed the new feature of the free WiFi in the bar for paying customers. With the seating in the apartment we have new sofas arriving within the next couple of days. We hope to welcome you back soon. Best Wishes Ocean Club Holidays. Thank you for your feedback. I'm glad you enjoyed your holiday as a regular customer. Hope to welcome you back soon. Best wishes Ocean Club Holidays. Good location,quiet with pleasant pools and sun beds. Cleaning staff were second to none and around every 2 days. The bar staff were lovely and very helpful as were reception. The television was very poor reception and probably should therefore be free. 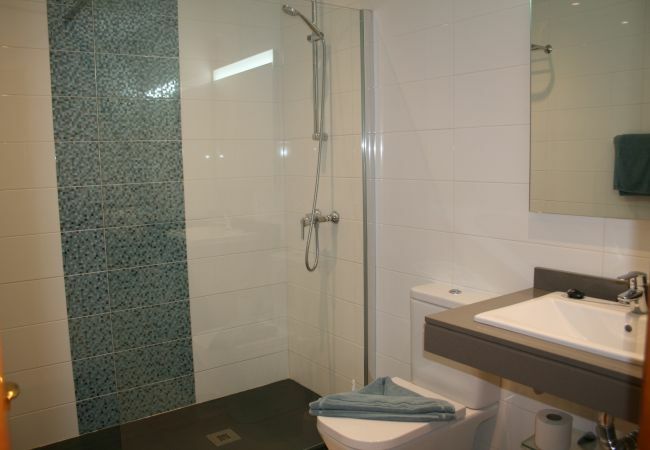 I loved the well sized apartment with huge accessible bathroom with two showers. Great kitchen also. Enjoyed the breakfast in the bar area, great spot to watch tvjust chill with a glass of wine. Very convenient location close to both new town and old town. Two areas where improvement would be nice. The first is the number of "extras" to be paid for e.g. tv, wifi, safe. In this day and age wifi should be included. The second area where improvement is needed is cleaning. The most basic of cleaning is all that happened during our week stay as is evident by the dirt behind the bathroom door. The beds were never made. I was surprised that there were no toiletries supplied also. Your staff and customer service is amazing both from the UK and in Lanzarote. We had an issue where we arrived at 11.30am on 11/12/16. We where told on arrival that our apartment would not be ready until 3pm. We are regulars to your complex so did not make a fuss, emailed your department in the uk to be told that there where 5 arrivals around the same time so with cleaning etc they had done their best. This was ok but when you have been travelling from 2.30 am from home to Lanzarote to be told you have to wait 3 and half hours to settle in was really bad. Our holiday was great after this but as we sent flight details to your UK dept two months before really was not acceptable. If we where first time in your complex I would doubt we would go again. Your UK rep Becki was lovely in her email reply but really the fact that 5 people checking in at the same time was of no relevance to us we where tired and didn´t expect to have to hang around for that amount of time to check in. We had a great time after this, and we love your complex but just for the future and for first time customers not good. One other thing, your wifi has really gone down hill from last year, I know this is nothing to do with the complex and you are getting fiberobtics wifi soon but half the time we could not connect. Also maybe you could see about getting microwaves in the apartments. I love Club Oceano and have been going with my cousin for years, my husband has only gone twice on this occasion he want´s us to change for the next time. I don´t want this. Location and size of complex ideal. Why are items like Tv,WiFi and safes deemed extras in this day and age. They should come as standard included in the price and not as overpriced extras. La piscina, jacuzzi y sala de baño y ducha de piscina. Tambien la tranquilidad y la ubicacion. Very close to the beach, shops.quiet area.safe, lovely pool and jacuzzi! Another perfect holiday staying in Club Oceano. Service is excellent from start to finish. Very clean and well maintained apartments. Beautiful pool and plenty of sunbed. We can´t wait to go back. WiFi isn´t great but it gives you a break from technology. too many extras to pay for more local apartments include extras i.e. microwave, Wi-Fi, and safe just to name a few. it would be helpful if some sort of reward scheme was in place to show your thanks for all the people who return year after year and sometimes more than once a year. Our 7th visit and enjoyed every bit as much as all the other stays, Rooms are immaculately clean, staff are friendly and helpful, pool is great, food in the bar delicious. We WILL be back!! The wifi was very disappointing, we paid 48 euros for a very slow and unreliable service. Free WiFi access that works would be good. Shower very hard to control, slow & then fast then slow again without adjusting control. A washing machine for guests to use at a small charge would be a big advantage especially for guests who are staying several weeks. Our cleaners did great job, cleaned our apartment nicely twice during a week. Location is very attractive. The whole set up of the complex is also very nice. We didn´t feel welcomed at reception upon arrival, no any information given about accommodation, had to ask questions as we were first timers. Both swimming pools were very cold unfortunately. Early check in at arrival (11:30a.m. ), late check out was possible this time, friendly staff, our request on appartment location was possible this time. We dont like the 2 week long screaming child at the pool and the roadwork behind the club. This was our 5th time at Club Oceano and again we had a great time. All the staff are always friendly and helpful as ever. Accommodation is just perfect at a great price. Only thing that spoilt our first 2 days was the horrible weather but you can´t blame Club Oceano for that! A mop bucket would be great to go with the provided mop as we struggled a bit mopping up the rain water due to the bad weather. We like the close proximity to the fring and the old and new towns. Apartments and facilities are of a good standard. We have stated there several times and never had reason to complain. Wifi. If you charge for a service it needs to be better. We struggled to get logged on and even when we were the service was temperamental. Excellent design/construction/maintenance.All rooms with good degree of privacy.Very helpful staff but bar seriously understaffed at times.Majority of guests friendly and regular visitors. WiFi signal weak and requires constant signing in. Evening food times in bar could do with return to previous levels although we believe that this is due to difficulty in obtaining.staff. On the other hand there appeared to be a plethora of maintenance men wandering aimlessly about and making a meal of simple tasks. Understand advantages of shade umbrellas on fixed bases but this means that at this time of years position shaded moves considerably to annoyance of both those who do and do not want shade. Tables outside bat often occupied by same persons for hours on end-solution unknown !